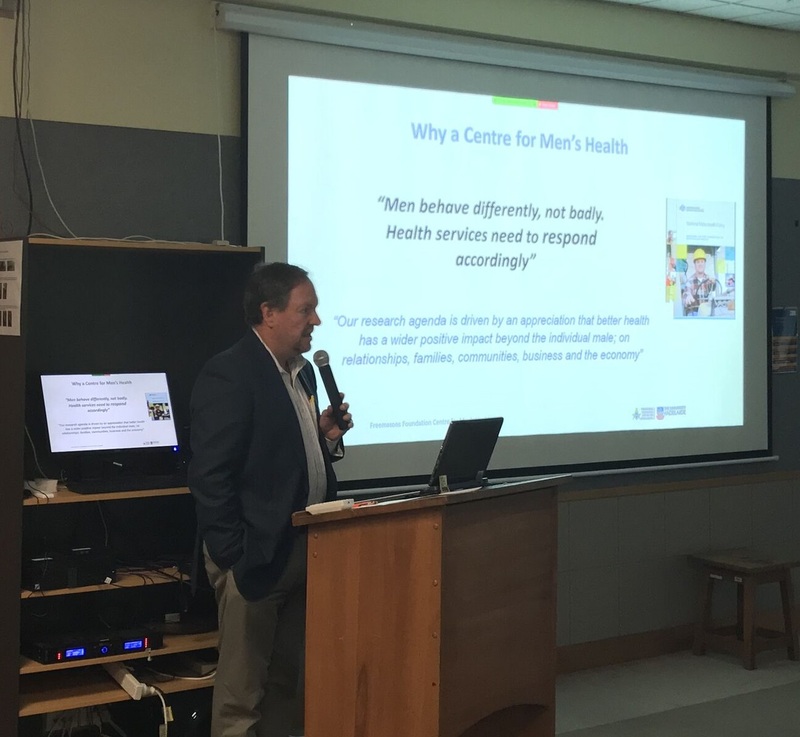 Across the Tasman, The New Zealand Centre for Men’s Health was officially launched at its inaugural conference (“Meeting the Challenges”) on November 21 in Dunedin at the University of Otaga. Professor Wittert (pictured) was honoured to be present for the launch, as a guest speaker. The New Zealand Centre for Men’s Health’s Director, Professor David Baxter, aspires to promote New Zealand men’s health to the next level while boosting national and international collaborative efforts. Professor Baxter visited the FFCMH in December 2015 to gain some insight to the operations of the Centre and to initiate discussions on partnership opportunities. The men’s health agendas are very comparable between the two countries, and each Centre offers a lot to the other in terms of expertise and programs that can be tapped in to. We congratulate the NZ Centre for Men’s Health on it’s establishment, recognising the hard work required to get such initiatives up and running. We look forward to forging a strong research partnership with the our Trans-Tasman colleagues. This entry was posted in Events, News and tagged collaboration, community education, men's health, New Zealand. Bookmark the permalink.